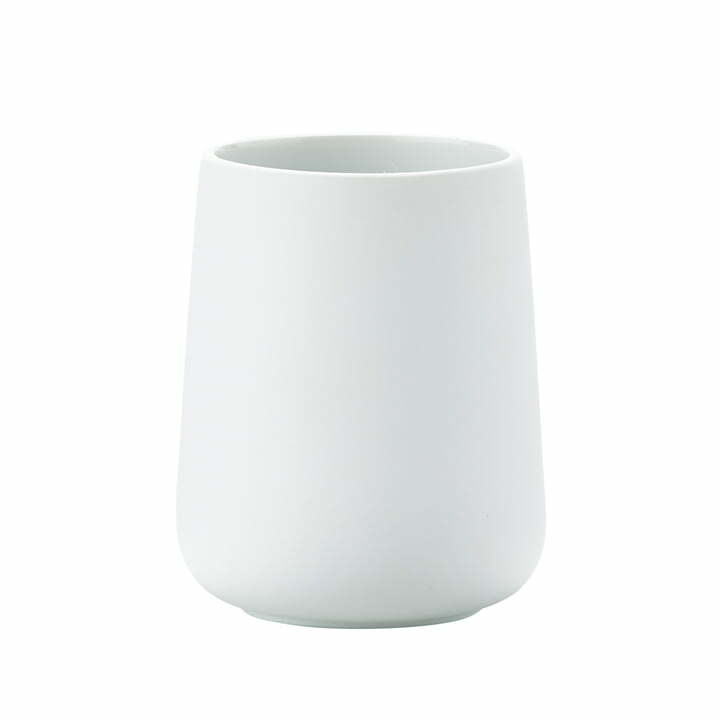 The Nova toothbrush holder by Zone Denmark impresses with its timeless simple look. It is produced from porcelain with Soft Touch finish in various colours and has a white inside and belongs to the same name bathroom collection designed by Thomas Dudzinski. The Nova series by Zone Denmark includes various living accessories for the bathroom. The harmonious curves of the products give the Nova series an elegant touch. Some products feature refined details in stainless steel and are as timeless and elegant in design that they fit in every bathroom. 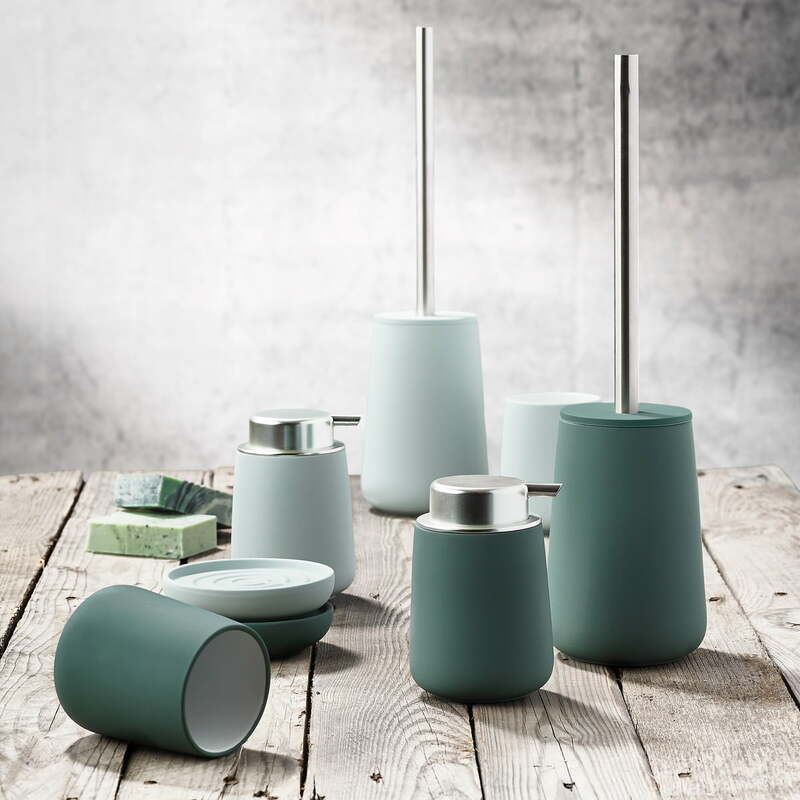 The collection includes in addition to the toothbrush holder also a toilet brush, soap dispenser and soap dish made of porcelain and a pedal bin made from ABS with soft touch finish. The bathroom accessories of the Nova series are available in other colours on request. It weighs, not at all flimsy, so it sits firmly on the wash basin surface. The material is “soft” to hold and not slippery. Grey is versatile, matches any bathroom colour scheme, and doesn’t scream of “masculine colour”. Individual image of the Nova Toothbrush Mug by Zone Denmark in white. The Nova toothbrush mug by Zone Denmark impresses with its timeless simple look. The collection includes soap dispensers, toothbrush mugs, soap dishes, toilet brushes and pedal bins out of porcelain or stoneware with a soft touch finish in different colours.